1. Caller ID transmission starting with RP-AS (ring pulse alerting signal) followed by the FSK signal and ending with another ring cycle. 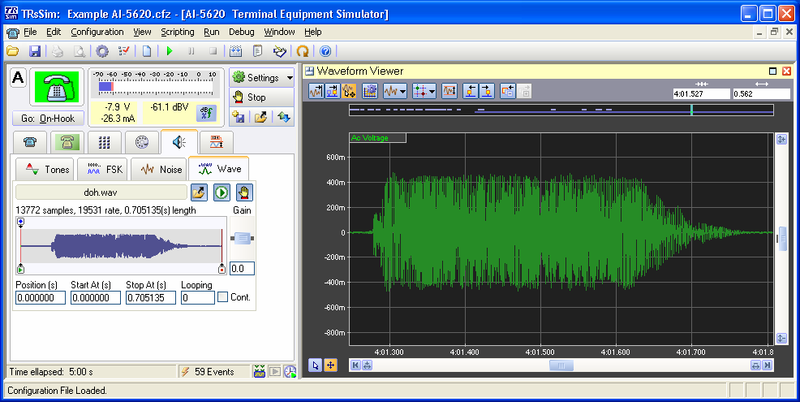 Note, the Waveform Capture option is required to download waveforms. 2. Listing of detected telephony events. The time line at the top of the window shows the relative chronological relationship between the events, while the listing below reports detailed measurements for each event. 3. 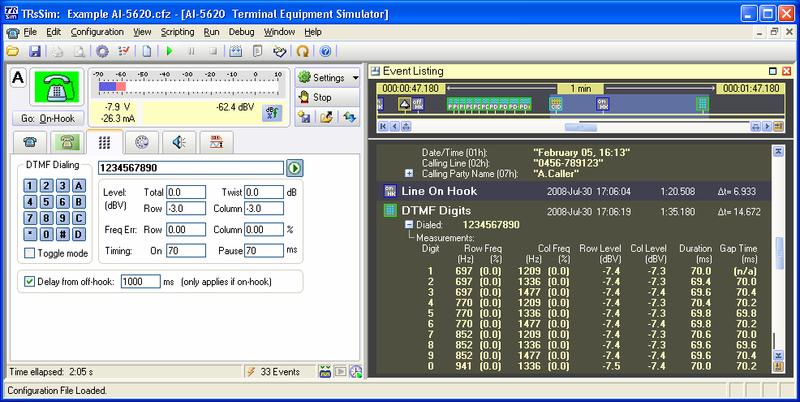 Display FFT of a captured DTMF digit. 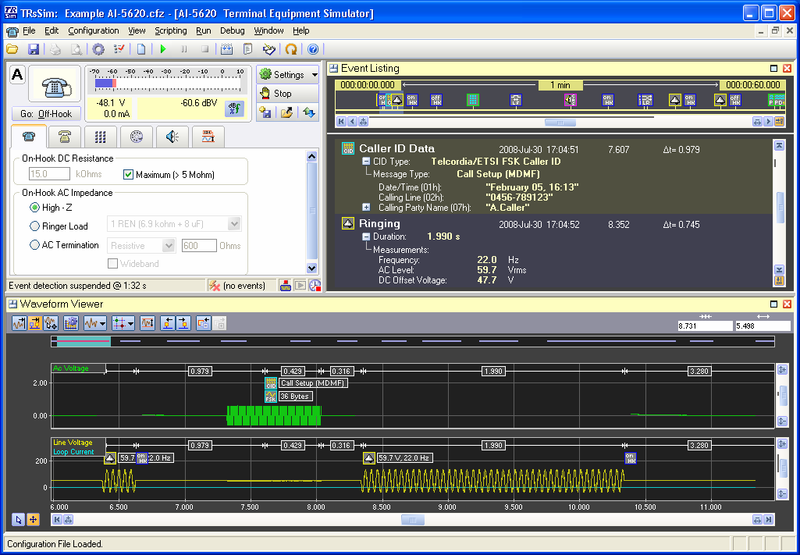 Note, the Waveform Capture option is required to download waveforms and view FFTs. 4. 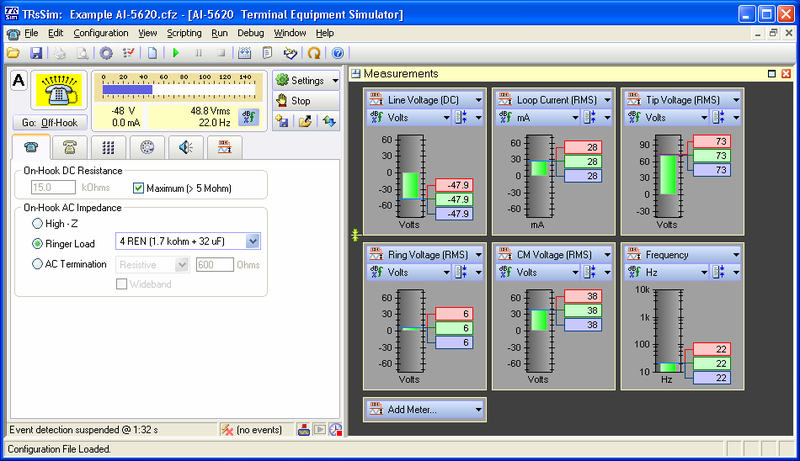 Measurement meters showing line voltages, loop current, and frequency during the presence of a ringing signal. 5. Generating DTMF dialing digits with programmable level, frequency offset, and timing. 6. Pulse dialing digit '9' with programmable make and break timing. 7. Wave file playback to the telephone line. 8. Captured line voltage, loop current, and common mode voltage during a short ringing burst. 9. 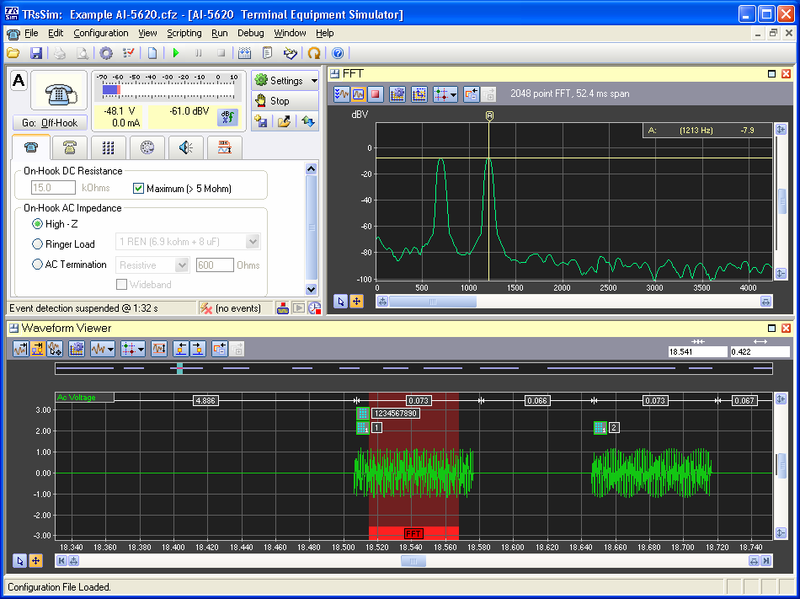 Performing an AC frequency sweep from 100 to 5000 Hz with an ITU O.41 filter applied. Sweeps can adjust tone frequencies, tone levels, or lock onto externally generated tones. 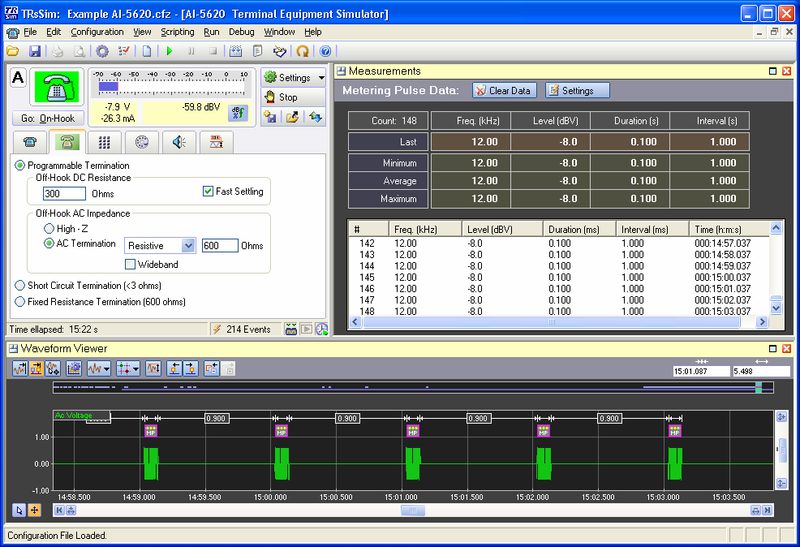 The results of a sweep can be plotted as a graph, table of measurements, or exported to a text file. 10. 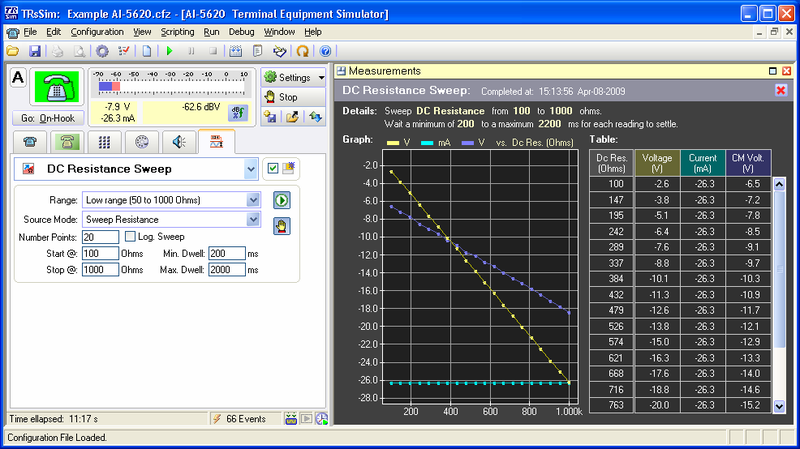 Performing a DC resistance sweep when connected to a constant current SLIC. 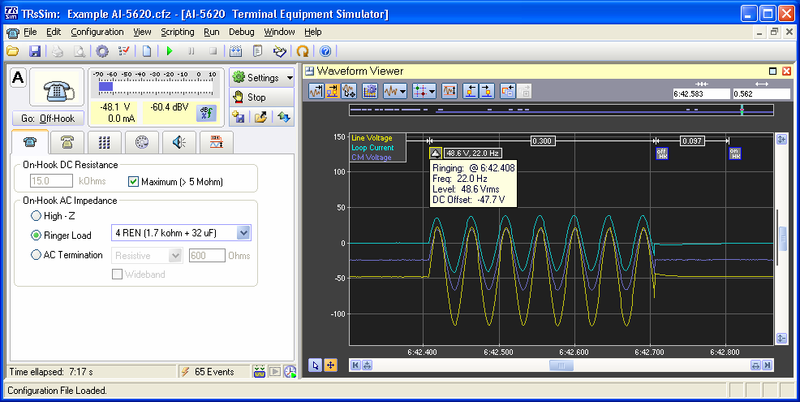 During the sweep, the line voltage, loop current, and common mode voltage are measured at each resistance point. The results of a sweep are plotted as a graph, table of measurements, or exported to a text file. 11. Summary of metering pulse measurements. 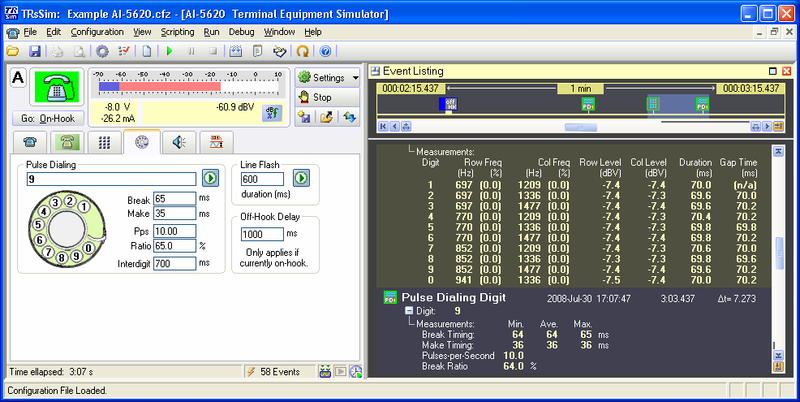 The frequency, level, duration, and interval of metering pulses are summarized in a table and can be exported to a text file.